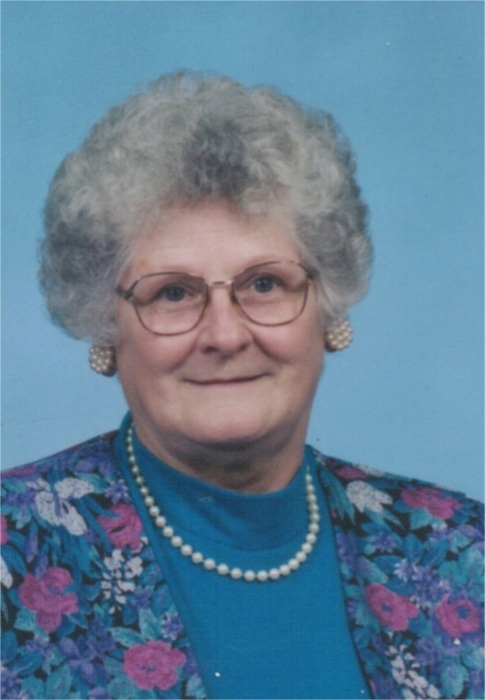 Ilien Mae Tarlton age 91 of Hudson, IN and formerly of Garrett, IN died Saturday, February 9, 2019 surrounded by her loving family. Ilien was born January 30, 1928 in Garrett, IN to Louis C. and Marguerite (Gregory) Bloom. She married Calvin Lee Tarlton on July 29, 1950 in Garrett, IN and he died January 24, 2006. Ilien was a press operator at Electric Motor, retiring December 22, 1989. She was a member of the Garrett United Methodist Church. Ilien is survived by her son: Johnny (Cynthia) Tarlton, Hudson, IN; daughter in-law: Delsie Tarlton, Garrett, IN; 5 granddaughters; 5 great granddaughters; 2 step grandchildren; 9 step great grandchildren; twin sisters: Jean Wobser, Ashland, OH and Joan Tyson, Bowling Green, OH. Ilien was preceded in death by her husband: Calvin Tarlton; son: Steven L. Tarlton; brother: Wilbur Bloom; sisters: Rosa Bloom and Mary Schauer; half-sister: Cynthia Thames. Graveside services will take place at 11:30 a.m. Wednesday, February 13, 2019 at Christian Union Cemetery – Garrett, IN with Pastor Jan Dimick officiating.